This week’s news roundup of board game news contains a collection of heroes and villains. 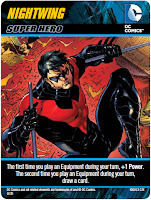 We’ve got the good guys of DC Comics battling it out in the DC Deckbuilding game Heroes Unite; we’ve got the dastardly pilots of the evil empire taking to two new TIE Interceptors for Star Wars X-Wing Miniatures game and we have the brave soldiers of the Enforcers battling the plague in Deadzone. Best of all we have a rumoured return of some of the greatest heroes of gaming in the form of Heroquest. Mantic may be busy releasing season 3 of Dreadball and prepping for the Mars Attacks Kickstarter but they managed to sneak out some information about the upcoming retail release of Deadzone, the hybrid miniatures board game. We’re dead excited about Deadzone’s release here at Polyhedron Collider, mainly because we actually played the game at this year UK Games Expo. The Deadzone boxed set will have an RRP of £59.99 (sorry US readers, I don’t know what that will be in $) and is due out in November. If you’re a lucky Kickstarter backer then you should get it sooner. So who else is excited? Are you an X-Wing fan and was left confused by the capital ships announcement? I was; I still can’t work out if they’re for the standard game or of we’re going to get a new scaled version. It doesn’t matter though as FFG have announced a deluxe expansion for X-wing, Imperial Aces. Its the red baron, kind of. 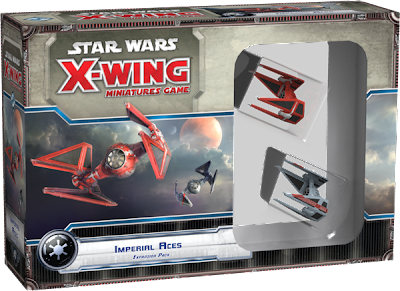 Imperial Ace’s include two TIE Interceptors taken from the Emperor’s Royal Guard. Not only are these piloted by some of the Emperor’s finest pilots but they also sport a flashy red paint job. This expansion will also include new upgrades, a new mission and will be available towards the end of the year. Where do you stand on the whole DC vs Marvel? 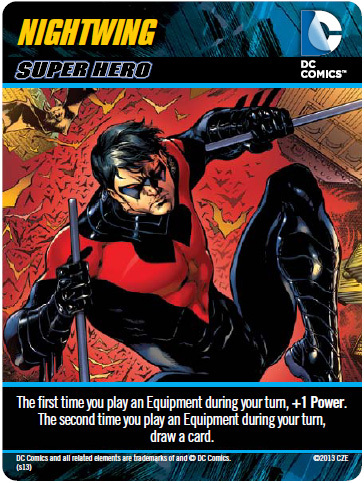 Not the comics the deck building games. 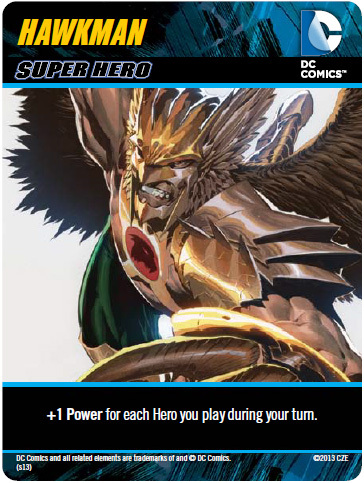 Cryptozoic have announced an expansion for the DC Deck Building game, Heroes Unite. 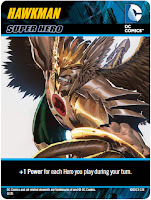 This expansion adds new Super Heroes, new powers and new Super Villains and can be played standalone or combined with the original DC Deckbuilding game boxed set. 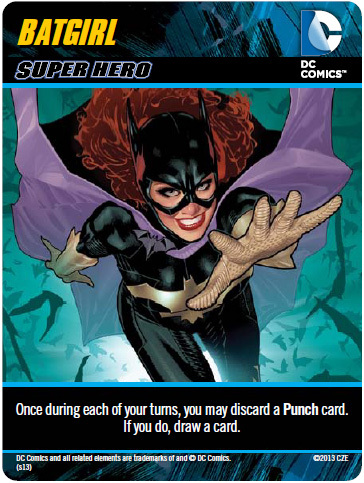 Heroes Unite will be available towards the end of the year. 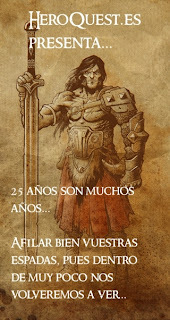 Details are a bit sketchy at the moment and the whole thing smells fishier than a dolphin’s dump but there’s a rumour going round that Spanish company Gamezone Miniatures have acquired the rights to make a 25th anniversary edition of Heroquest. Now don’t get too excited now, even though the plan is to make the game in multiple languages it will only be available to buy in Spain. Of course there’s nothing stopping you from making an order and shipping it home. 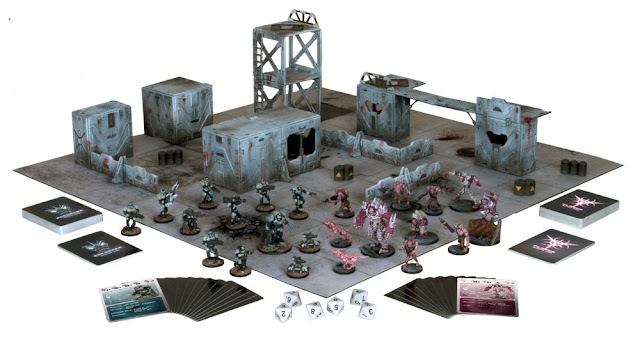 Gamezone Miniatures have some really high detailed miniatures available and the rumour mill declares that they are planning on making a huge array of new sculpts and making all the dungeon features in resin. Let’s see how this pans out. 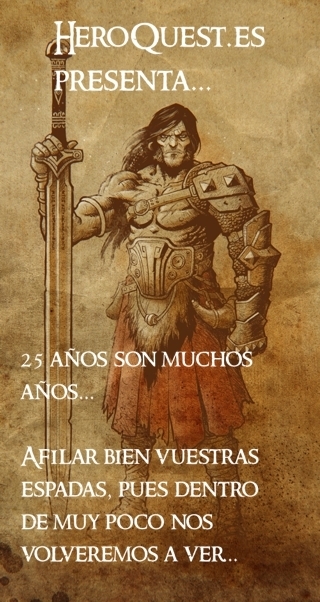 Shame that HeroQuest will be a Spanish-centric release. I have vague but fond memories of playing that as a kid. I'm expecting Games Workshop's squads of power armoured lawyers to shoot this down at any moment. Heroquest has always languished in a bit of a rights hell between Games Workshop and Hasbro and Games Workshop don't like other people making miniatures from their IP. The name Heroquest is currently being used by an RPG so maybe Gamezone only have the rights to the name and are crafting a game 'influenced' by Heroquest with their own minis. Its going to be interesting to see what actually happens.